A patio can be a great feature in your garden, it can help to break up the color and shape of the space, it can provide you with the perfect place to sit out in the summer and it can really add some style to your garden. Like many things around the house, there are lots of considerations which you need to make before going and getting yourself the perfect patio and we’re going to take a look at a few of them in this article. A patio is quite a heavy duty installation and as such, you decisions on what the patio will look like are going to be pretty important and well worth giving a lot of thought to. Here is what you need to be thinking about. 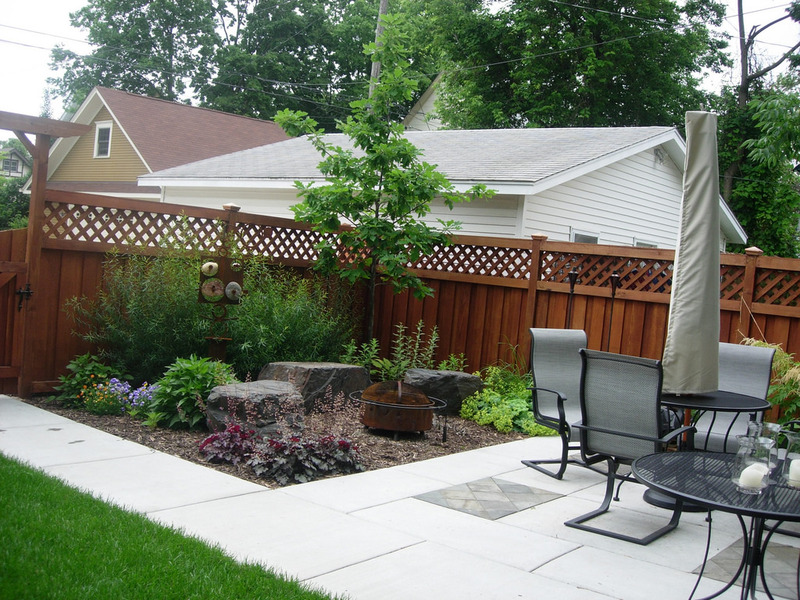 For one reason or another, the large majority of patios become extensions of the home and they adjoin with the bricks of the outer wall of the house. This may be the best position for your patio but don’t feel duty bound to put it there. If you are thinking of sitting out in the sun then you should really be putting the patio in a position where you can enjoy the majority of it. A great tip to help you to determine the size of the patio that you will have installed is to first choose the garden furniture and decorations which will go on the patio. Once you have bought the furniture you can have a really good understanding of the space it will take up and from there you can decide on the size of your patio. It is important that the shape of your patio fits in well with the overall shape of your garden, it doesn’t have to mimic it however. For example, a rounded patio can really add an extra dimension to an otherwise squared off garden and visa-versa. You can get patios in all shapes and sizes and you should make your decision with the image of the garden as a whole in mind. When planning on what kind of stone you will use for your patio or what kind of color you will choose, you should think about the brick work of the house and the colors as well as taking into consideration any exterior walls or fences. The patio needs to fit in with the garden and home and even thought it will be a feature, you want it to stand out for the right reasons and not because it looks foreign. It is well worth considering how much time you intend on spending in your garden when it comes to maintenance. Patios are far less work than say a lawn or a bedding section but they still require cleaning, getting rid of moss and keeping the edges in tact. Make sure you know how much maintenance your patio will need and how much you are willing to give it before making your choice.